When you book an afterburner seminar, you're not just getting fighter pilots, you're getting serious business training. Don't let the energy, teambuilding experiences and motivational keynotes fool you. 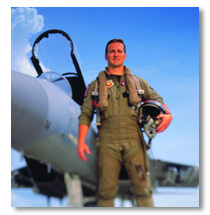 Our speakers are going to teach your people the secrets fighter pilots use to succeed in a rapidly changing environment. As fighter pilots and business people, we are not just teaching good theories, we are teaching proven principles that work in the cockpit and in the office alike. Afterburner is not just an event company; we are a performance enhancement company. Corporate events are often the first step toward gaining alignment and creating the excitement required for corporate change.But achieving real corporate change requires a solid strategy and leadership training at every level of an organization. Book an Afterburner event and find out why companies all over the world are using: Plan. Brief. Execute. Debrief to win in their rapidly changing business environments. Looking for a keynote presentation, motivational speaker, or teambuilding seminar that’s more engaging than the typical management guru in a blue suit? If you are a meeting planner, or production company planning a corporate meeting, Afterburner has the “right stuff” for you.The sales, leadership, management training, and teambuilding events that we offer are like nothing you have ever seen. As one of our friends at IBM put it, “Having been involved with many “team building” type exercises before, I can honestly say that your event was the most relevant, practical, entertaining, and thought stimulating program I have ever seen”.